In April 2009, just after I returned from BaselWorld 2009, I temporarily switched my Rolex Yacht-Master 16622 with a friend’s Submariner 16613. Although I really had to get used to all that gold on this Submariner, the watch was definitely an eye-catcher and felt right in terms of weight, size and looks. The blue dial was amazing, espcially during daylight. 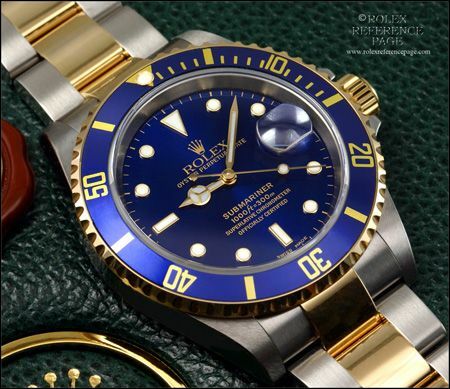 Since BaselWorld 2009, Rolex introduced the new stainless steel/gold Submariner 116613. Using their new style case, like the GMT-Master IIc 116710LN and the earlier introduced white gold Submariner 116619, it is evident that this is Rolex’s way forward. It seems that Rolex listened to a lot of customers, and is firing their innovations to us in up-tempo. Rolex brings us new and improved movements (parachrom, YMII movement), a new type of bracelet with solid gold center links and a new folding clasp and ofcourse the new case design. 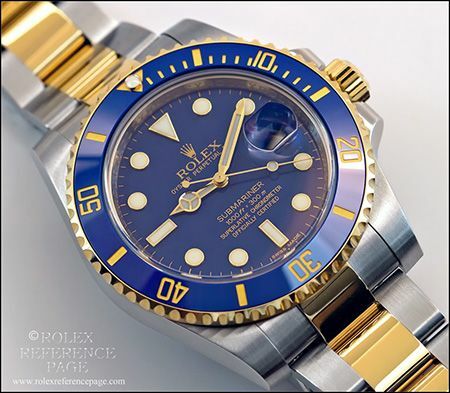 John Holbrook of The Rolex Reference Page and Watch Talk Forums Inc wrote an excellent comparative review on the new Two Tone Submariner 116613 and the former 16613 model. He had the opportunity to review the new Two Tone Submariner and compare it to his own Z-series model Submariner 16613. Although the differences appear to be quite obvious, I suggest you read John’s article to learn more about the changes that Rolex made to its most iconic model of the last few decades. As I planned to attend BaselWorld 2010, I assume that one of the models that Rolex will be introducing will be the new Submariner in stainless steel, probably with the same case design and bracelet as the full gold and gold/steel models. I would consider this a good successor to the 16600 Sea-Dweller and 16610 Submariner, as the new Deep-Sea Sea-Dweller is a totally different design from its predecessor. 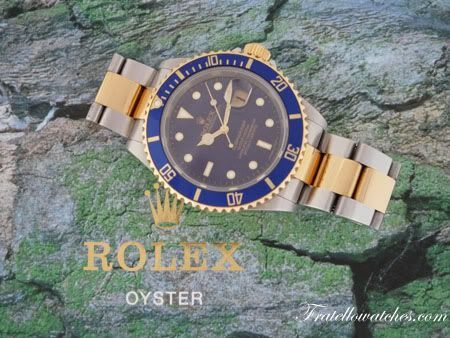 However you never know if Rolex is actually going to introduce the Rolex Submariner 116610 this year, that they will come with something completely different or that they will skip a year with their innovations.